OurStage is excited to announce that YouTube sensations and fraternal twins Megan & Liz, the duo behind the hit anti-bullying song "Are You Happy Now?" are putting the bull's eye on bullying this month with a performance brought to you by Akoo. And we're even more excited to give you the opportunity to add your voice to this important cause. Enter your best song in our "Band Against Bullying" Competition between now and July 9th. If our music community likes what they hear, you could be on your way to New York City to perform at the legendary B.B. King Blues Club to open for Megan & Liz, including special friends, Hot Chelle Rae! We're looking for rock, pop, and country artists, as well as singer-songwriters, who are eighteen (18) years of age or older. Artists must be legal residents of the forty-eight (48) contiguous United States or the District of Columbia. Help put an end to bullying once and for all. Enter "Band Against Bullying" now! Open to OurStage account-holders who are eighteen (18) years of age or older at the time of entry. Entrants must be legal residents of the forty-eight (48) contiguous United States or the District of Columbia. 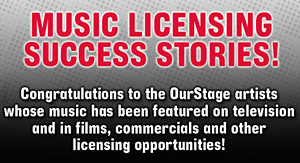 Only submission materials that are determined, at the sole discretion of the sponsors, to be classified as Pop, Rock, Country, Singer-Songwriter (Male) and Singer-Songwriter (Female), as defined on the OurStage FAQs (http://www.ourstage.com/about/faqs), will be deemed valid entries. Click here to view the competition FAQ's.